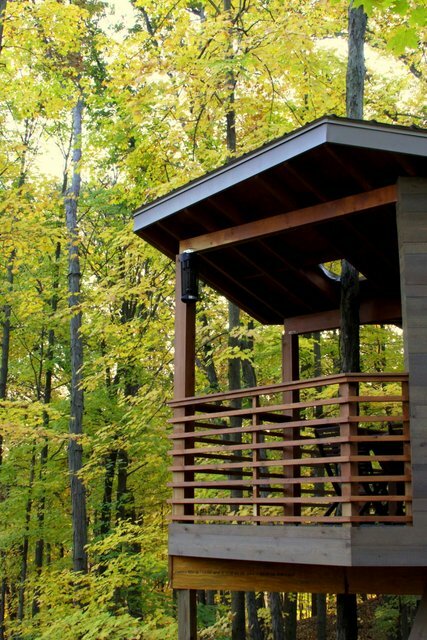 20 February, 2014-Project and Residential. 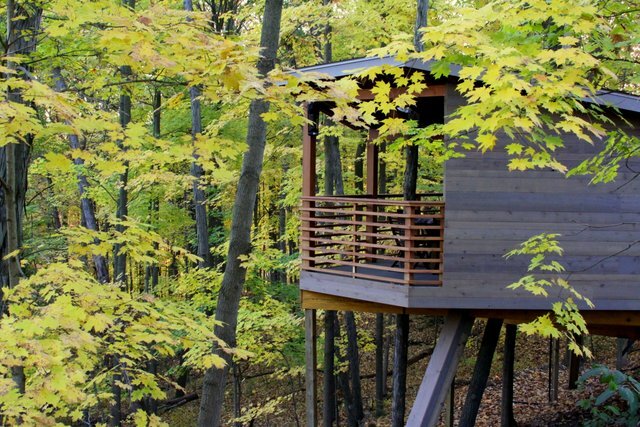 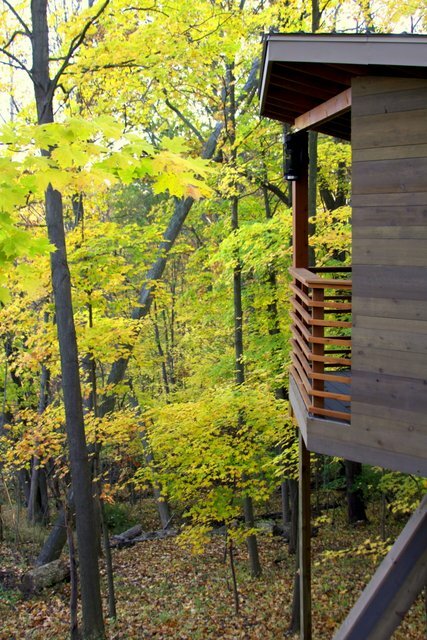 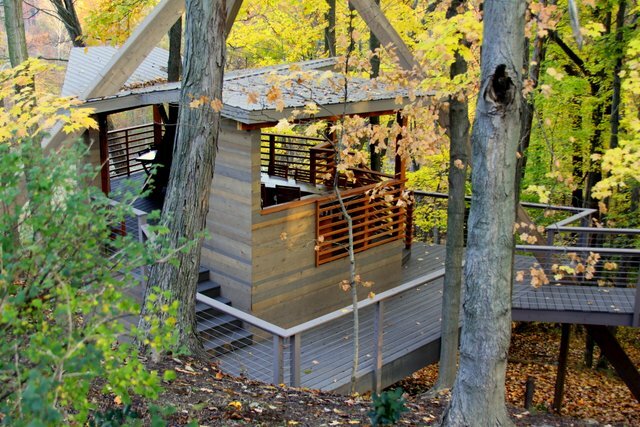 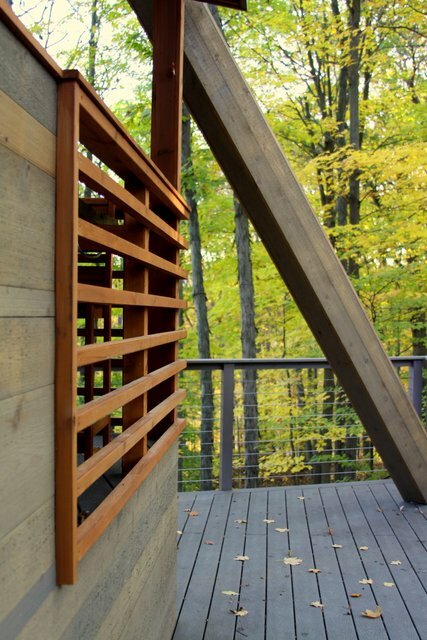 Nestled in the forest on the edge of the Cuyahoga Valley National Park, is a contemporary cedar tree house. 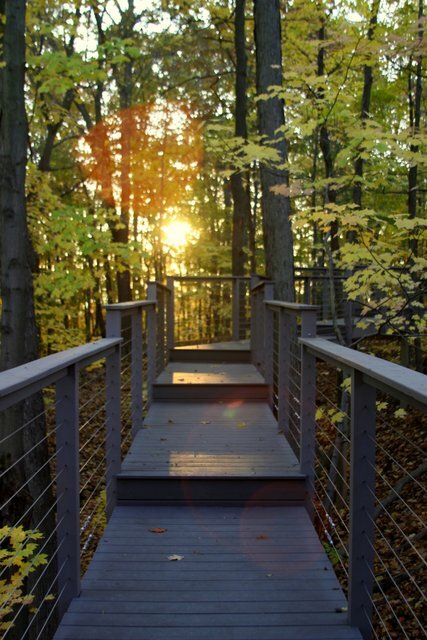 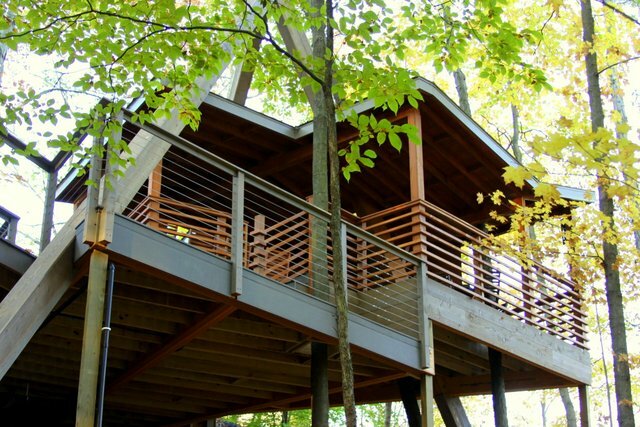 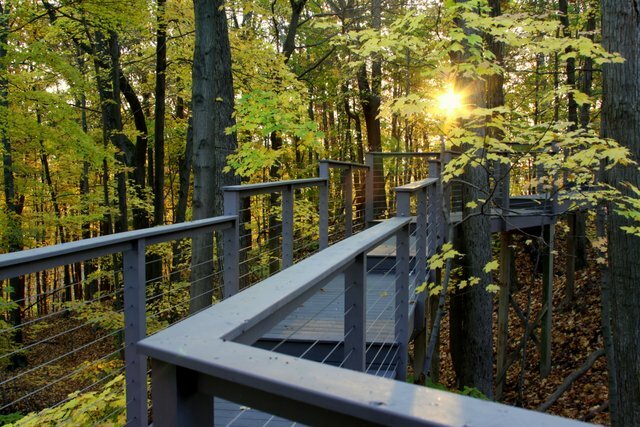 With roughly 300 square feet of usable floor area and over a 100 hundred feet of elevated walkway, this tree house meets the client’s needs with a bit of design flare. 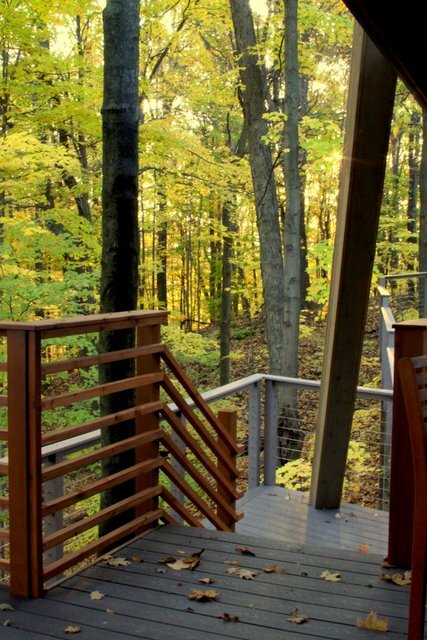 Beginning at the concrete patio behind the house, the walkway slowly steps down first to a small landing area where the family uses the patio setting for morning breakfast. 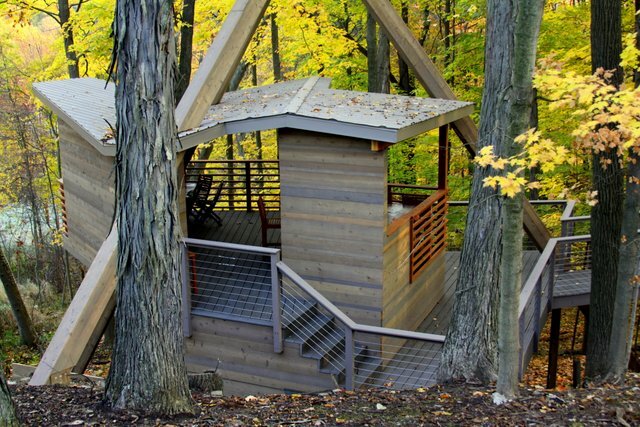 Next, the family specifically requested an entrance to the tree house in which you walk along the elevated walkway, arriving at the tree house in grand splendor. 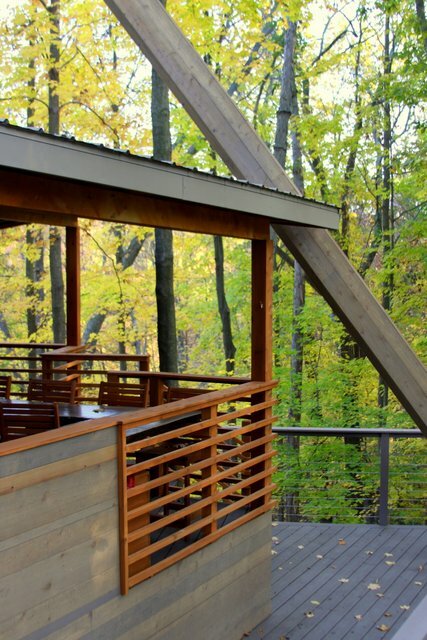 With cedar siding, handrails, and trim along with the unique metal roof, aircraft cable rails and composite walkway, this contemporary tree house will stand for generations. 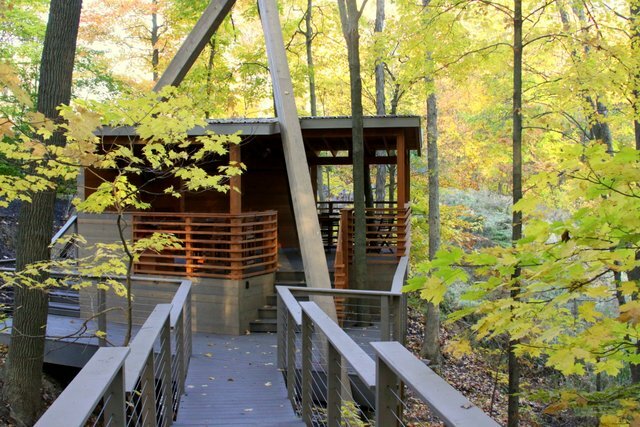 Cottonwood trees sway gently within the tree house while specific structural parameters lend the unique wood beams that form a pyramid. 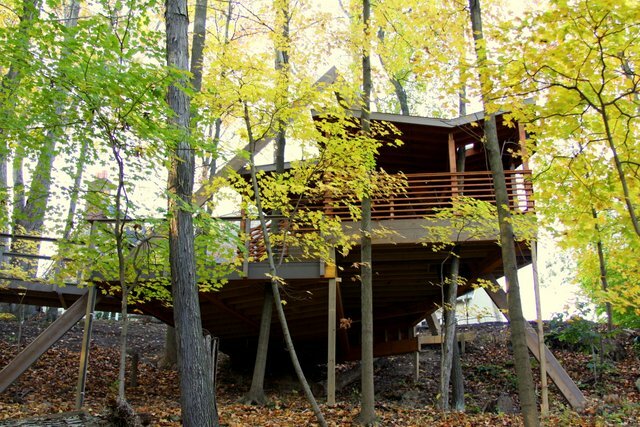 These provide the support the structure needs to withstand the Ohio weather without relying solely on the fairly small and pencil thin trees. 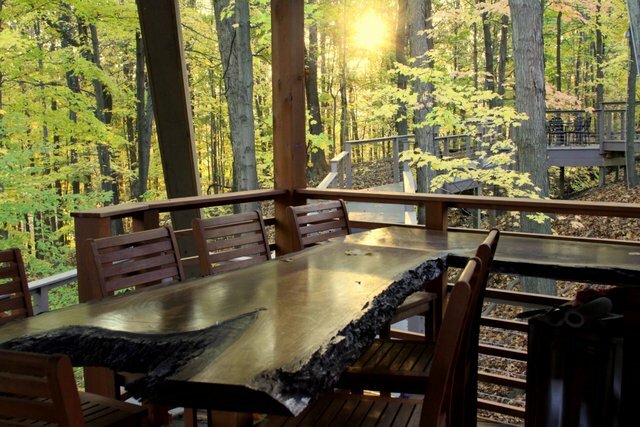 Inside the tree house, a fully plumbed bar set in slabs of black walnut trees create the countertop and table. 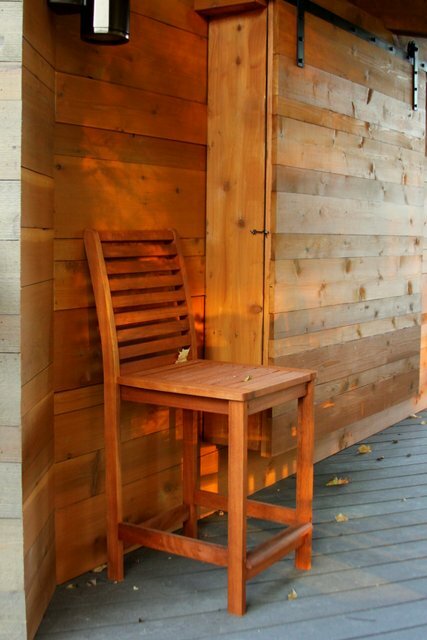 The phone, internet access, and TV sit behind a barn door style enclosure which are all easily unplugged and moved indoors during the winter. 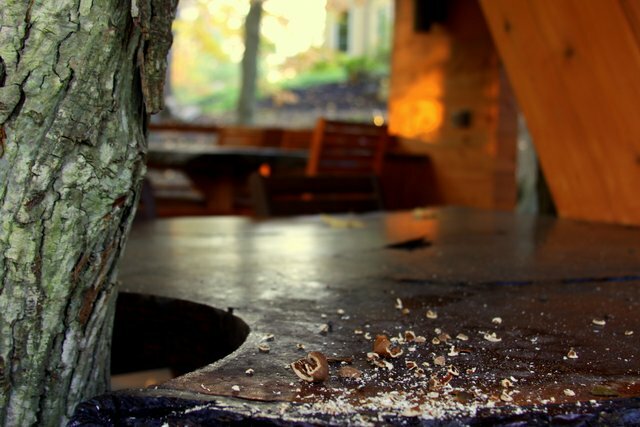 Under the bar is a fully operational refrigerator which provides refreshments during the summer evenings. 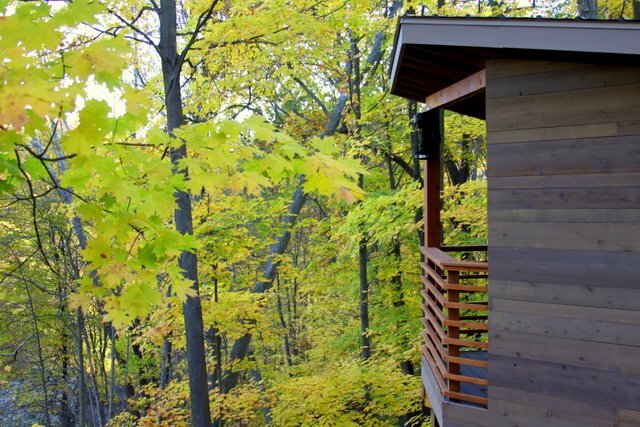 Looking north over the ravine into a clearing, the tree covered hills of the park provide a dramatic view. 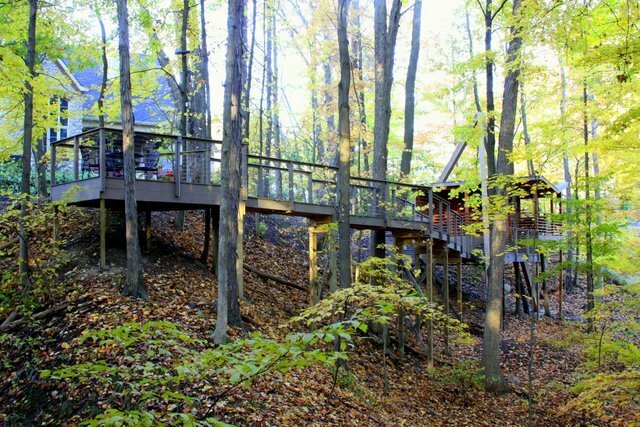 The rest of the setting is very much ‘in the woods’ with the walkway splitting and dodging between trees and the tree house rising about the forest floor over 20 feet.